With over 20 years supporting IT needs for homes and businesses Oranda will help you in a timely and cost effective manner. 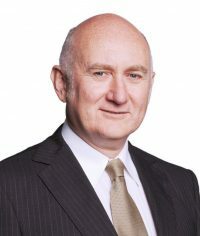 Peter de Rooy gained his Bachelor of Technology (specialising in Chemical Engineering) before working in a number of large manufacturing companies. As well as being the technical expert on machinery and processes he was very interested in computers and became the go-to person for the company’s IT issues. To this end Peter went back to studying and formalised his skills in Microsoft (MCSE and MCITP) and Cisco (CCNA). After working in a couple of Sydney based medium sized software support companies Peter decided in 2009 to set up his own company to utilise his IT skills and his patient, gentlemanly manner (as testified by numerous clients). Peter’s engineering background means he is thorough, logical, and will consult with you, the client, before finalising the solutions to your hardware or software problems. We believe in giving you robust solutions that require the minimum of maintenance. Oranda is based in Ashfield/Summer Hill NSW; and does not charge call out fees to clients in the local area. We understand that often your IT issues are urgent and Oranda Computing Services does not have a surcharge for same day service. 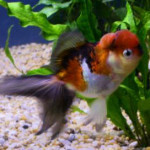 An Oranda is a fancy goldfish with distinctive hood or headgrowth. Our Office Manager’s favourite goldfish was a Calico Oranda called “Lumpy” who held pride of place in Caroline’s fishtank for many years. Whilst sadly Lumpy is no longer with us, his/her memory lives on in the name of our business.